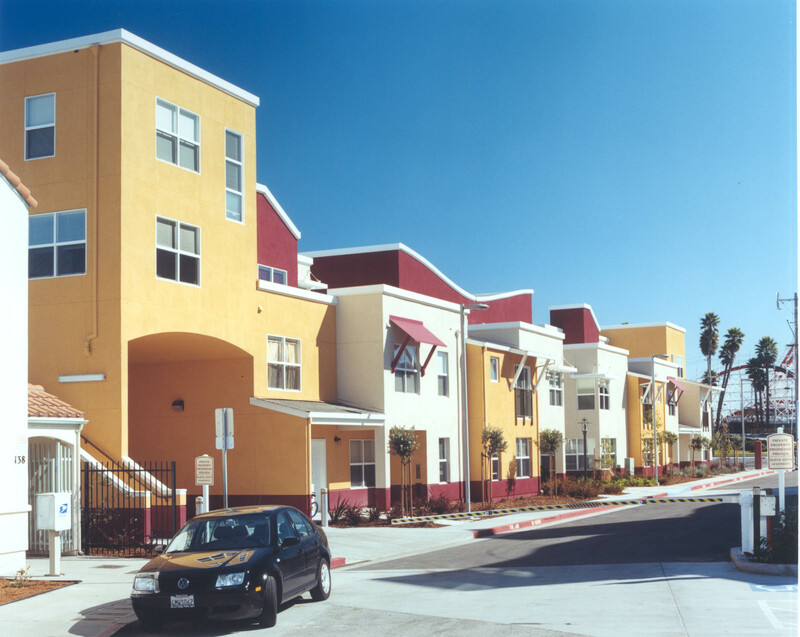 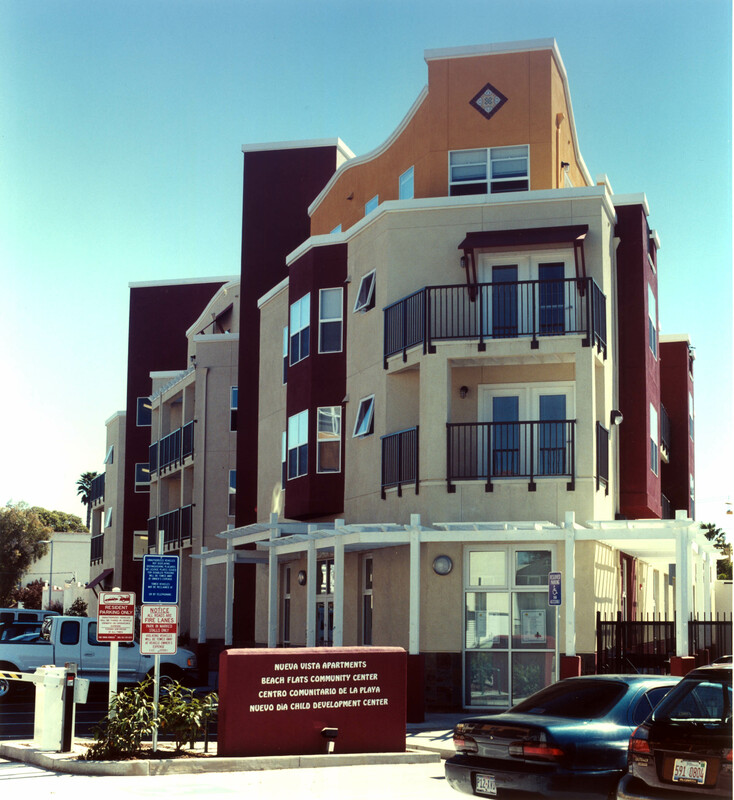 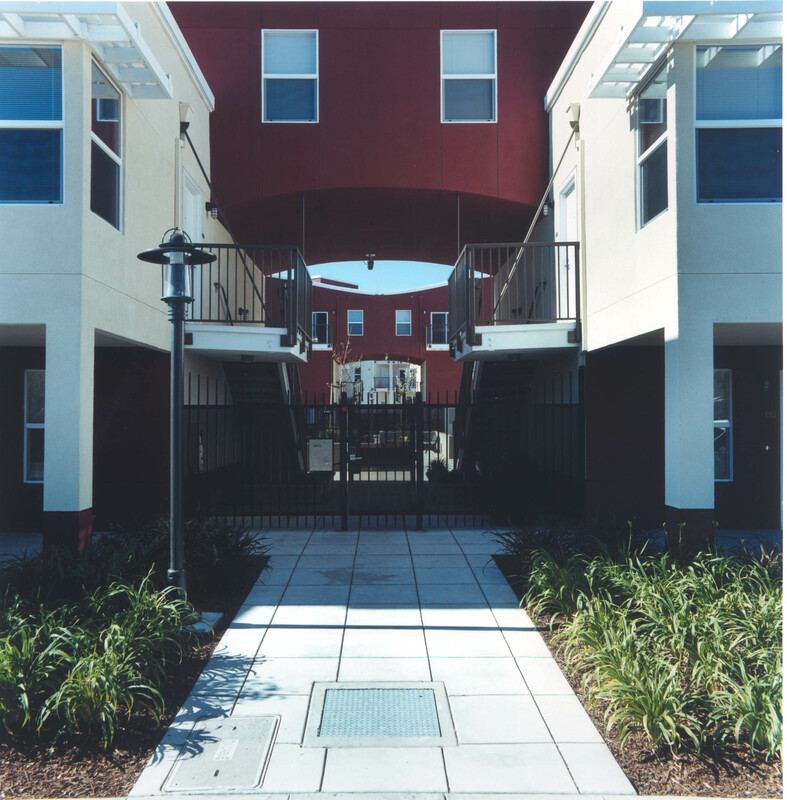 Nueva Vista Family Housing is an example of how a dedicated affordable housing developer can incorporate sustainable design and green building into a project while working within a limited budget. 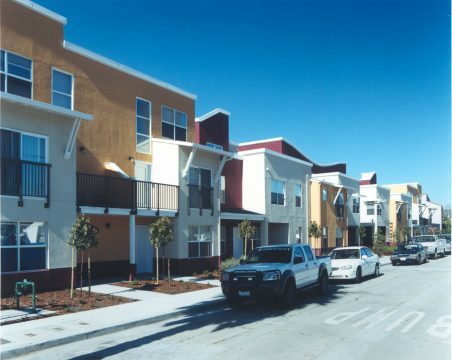 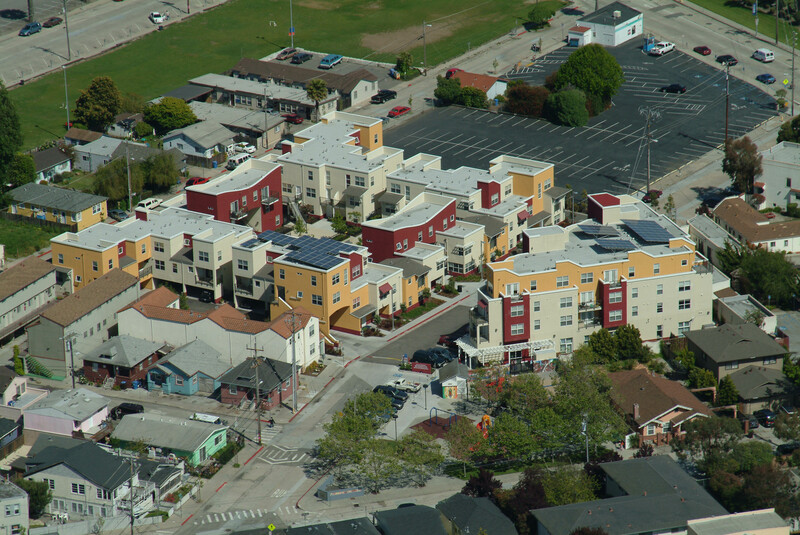 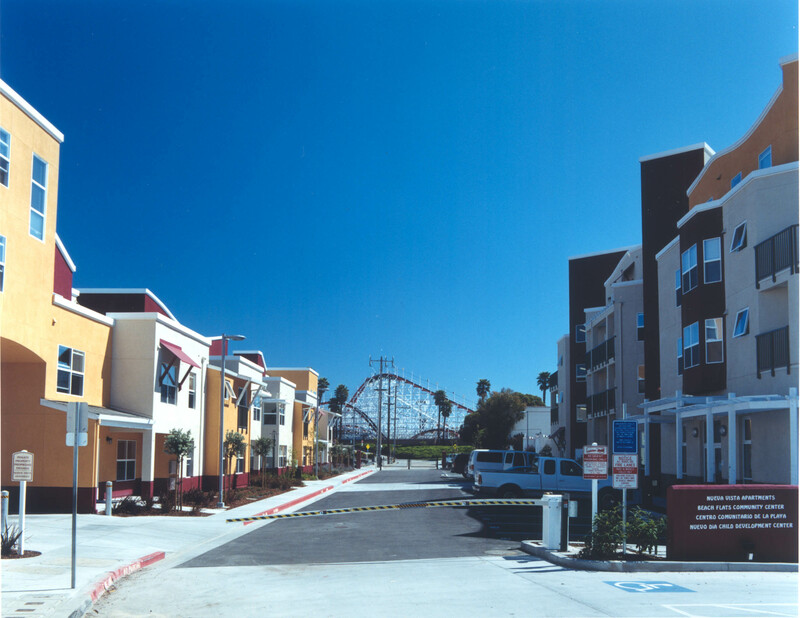 The 48- unit urban infill project located on a 1.3 acre site adjacent to the famed Santa Cruz Boardwalk reduces car trips by including a child care facility and city community center on site, improves the health of residents by using a variety of non-toxic finishes and lowers operating costs by incorporating solar electricity and other energy efficient measures. 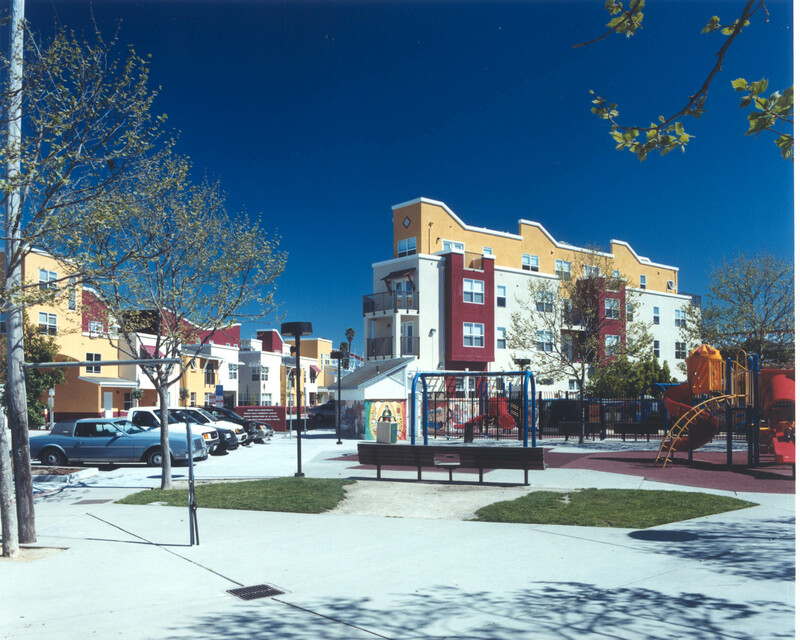 The project includes a small pocket park that serves as the community focus for this urban neighborhood. The housing is arranged around a secure courtyard with tuck-under parking at each side. 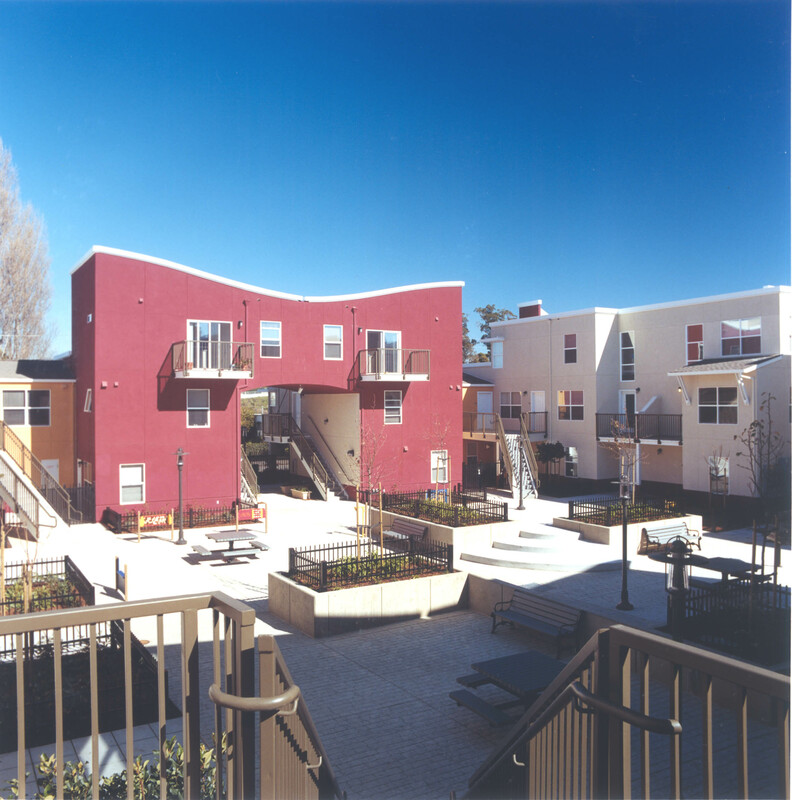 To create a sustainable mixed-use development that will become a focus for the community. 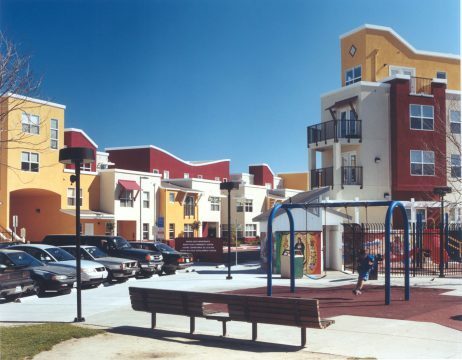 Provide a safe and secure home for 48 families, a community center and childcare facility using green building technology within a limited budget.